in TeXworks Preferences page *with only one argument is $fullname*. Please see two attachment files for details. > Yes. This is on a Windows machine that I need help. >>> the Latex->PS->PDF option in Texniccenter. >>> How can we set up an engine in Texworks to accomplish the same thing? 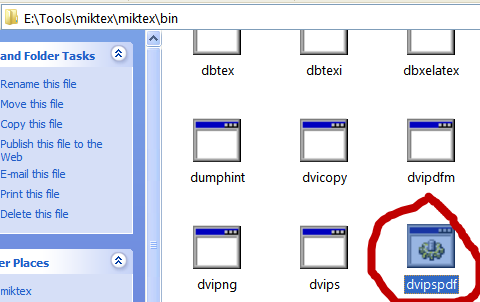 >> I called mine dviLaTeX, but the name is arbitrary. >> TeXnicCenter is a windows program, meaning this is your case?